This book explains the lifecycle of terrorist organizations from an innovative theoretical perspective, combining economics with social psychology. It provides a new approach to understanding human behaviour in organized society, and then uses this to analyze the forces shaping the lifecycle of violent political movements. Economic and rational-choice theorists assume that human beings are motivated only by self-utility, yet terrorism is ultimately an altruistic act in the eyes of its participants. This book highlights the importance of the desire to belong to a group as a motivating factor, and argues that all of us face an eternal trade-off between selfishness and community concern. This hypothesis is explored through four key groups; the IRA in Northern Ireland, Al Qaeda, Hamas, and the Naxalites in India. 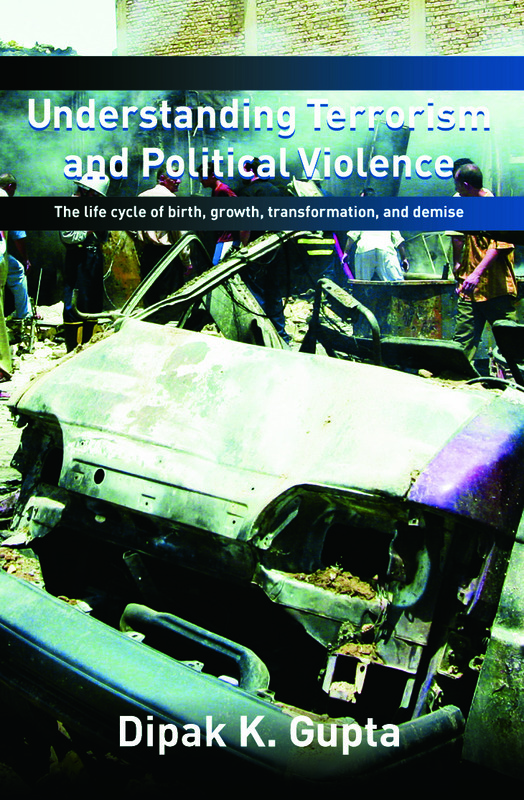 Through this, the book analyzes the birth, growth, transformation and demise of violent political movements, and ends with an analysis of the conditions which determine the outcome of the war against terrorism. Understanding Terrorism and Political Violence will be essential reading for advanced students of terrorism studies and political science, and of great interest to students of social psychology and sociology. Dipak K. Gupta is the Fred J. Hansen Professor of Peace Studies and the Distinguished Professor in Political Science at San Diego State University, California. He is author of seven books. This book series contains sober, thoughtful and authoritative academic accounts of terrorism and political violence. Its aim is to produce a useful taxonomy of terror and violence through comparative and historical analysis in both national and international spheres. Each book discusses origins, organisational dynamics and outcomes of particular forms and expressions of political violence.